Arla Foods has appointed Leo Burnett London as digital agency of record for its speciality cheese brand Castello. The Publicis Groupe agency has been tasked with developing Castello’s global digital and social strategy, as well as its handling its digital creative development and content production duties. Leo Burnett was appointed without a pitch, following its digital work for Lurpak, another Arla Foods brand. Mother handles above-the-line creative for Castello, while Carat is responsible for media. Both accounts are unaffected by the appointment. 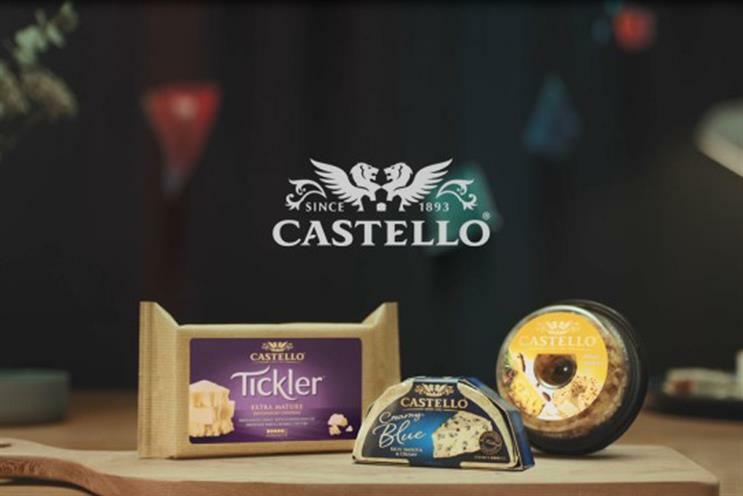 Last year, Castello launched a £1.2m campaign, called "Sensations", emphasising the "complex and intense tastes, textures and flavours" of its cheese products, including Tickler, Creamy Blue and Pineapple Halo. Christian Fischer, senior global category director, specialty cheese, at Arla Foods, said: "We are excited by the potential of digital for our brand and we are looking forward to working closely with Leo Burnett to un-tap this potential. Leos have committed a strong team to the Castello brand and we are convinced that they can help us to significantly step up our game in digital." Danish dairy firm Arla recently reviewed the ad account for its Anchor butter brand, with the business moving from Creature to WCRS. Leo Burnett London chief executive Gareth Collins said of the account win: "We are delighted that the Castello team have chosen us to lead the brand’s digital work. There is a great opportunity to grow the Castello brand across its global markets and we are excited to be part of making that happen."